I want to live out in the open where I get to see the trees sway in the wind and feel the sun on my face from time to time. Sure, living in the open presents its hazards, but there’s nothing like watching a gentle curtain of rain approach from the West atop a hill. Isolation is highly overrated—especially when the far-reaching result is isolation from other people that need us and have much to teach us in return. Most of my Christian friends are convinced that they have something genuinely wonderful to share with the world around them. The problem is that sitting in their spiritual bunker doesn’t quite lend itself to sharing anything with anyone. Come out into the light, folks! Take a breath of fresh air! The mission field is OUTSIDE your spiritual bunker. This Jesus didn’t party with hookers, IRS agents, AIDS patients, and criminals with a disapproving scowl on his face. He spent time with them as you would at a family reunion. He listened to their stories, laughed at their jokes, and played with their kids. This Jesus wasn’t HOLY or SACRED. This Jesus rebuked those that considered themselves HOLY and SACRED. This Jesus told funny jokes, walked hand in hand with prostitutes, and was genuinely moved by people’s stories of tragedy in their life. This Jesus was UNHOLY and UNSACRED. This Jesus is entirely HOLY and SACRED. This is the heart of Jesus. This is the word, as it were, that can coexist as flesh (fully man)—John 1:14. We are being called to be both. We are being called to serve one another. To serve denotes humility and bestows honor even if it hasn’t been earned. To serve is to treat the OTHER person as if THEY are HOLY and SACRED. We treat them that way regardless of their beliefs because we are Jesus—because we are Jesus (fully man) with hearts of Jesus (fully God). When we set ourselves, our beliefs, and our actions apart and adorn our t-shirts with the word REDEEMED across the chest we are not representing any form of Jesus. In that moment, we are representing only ourselves. So mock me all you want. Shout me down. Quote scripture AT me. Pray for me to change my “wicked ways.” I appreciate your concern, and I will indulge your ignorance. But at the end of the day, I am a missionary to a very foreign land with its own customs, language, and sense of morality. I can walk into that biker bar feeling right at home with my vulgar t-shirt and my tats and my fixed blade knife attached to my hip in all my UNHOLY UNSACRED glory and partner with the people I meet there—you cannot. I know their language. I know their customs. I value their beliefs. They can smell a phony a mile away. You are not welcome. Don’t even try. But many of us in that bar have hearts that are HOLY and SACRED even if you can’t see it on the surface. We readily admit that we don’t understand all the inner workings of God and the complexities of the Bible. However, we do know that there is a God and that He/She loves us deeply enough to saddle right on up to the bar here with us and buy a round of drinks for everyone. Say what you will about protecting your faith through the judicious management of your outward appearance and actions. Jesus (fully man) said that it’s the heart of the lesbian – biker – criminal - pro-choicer – Buddhist – atheist - Muslim that matters. Guess what—Jesus (fully God) loves them all. Why not worship Jesus (fully man)? Because He isn’t worthy of praise. Worship Jesus (fully God). Worship THAT Jesus through the service of others—not in a pew singing old tired washed up songs at a wooden idol on the wall. It’s the heart of Jesus that matters and it’s the heart of us all that must carry THAT Jesus into the world with great honor, vigor, and resilience. 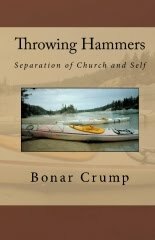 "Hi, my name is Bonar and I'm a heretic." The eternal, immortal, pre-existent Word of God showed mercy to prostitutes and hookers. Not the "Fully man" nature or person of some "united" Jesus. One of the Trinity suffered in the flesh. That's it. The entirely HOLY and SACRED untouchable fullness of who God is was spat on and drank vinegar on the cross and died and went to the place that humans go when they die. I just love declarative statements like this. Lots of certainty with no explanation. "The opposite of faith is NOT doubt. The opposite of faith is certainty." I think a lot of what you have said here is true, I cannot go to the places you go and have a voice. I don't think you needvto go as far as you do to separate yourself from the church. There is much wrong with the church today, but she is Christ's bride, I would be careful how you speak of her. I think the beauty of Jesus is that while fully man he was holy. Had he not been holy he would have deserved the cross the same as us, he was perfect, he took your sin and my sin and the sin of every biker in every bar to the cross. That's how there is justice in the cross. He took our sin, we got his righteousness. The Jesus who would dine with prostitutes was holy, it's how you can carry his righteousness with you into those places. You have a voice in those places, a voice you earned, they trust you and I thank God you are there for them. I would hope that you could focus on what Chist did for them and not on how the church has failed them (I don't doubt that is has). I would hope that you would care enough about the man who's name you carry to try and paint an accurate picture of him. He was perfect and praiseworthy, his story is redemption and grace. He dined with hookers, he loved, he forgave, he saved. I think to your audience just telling his story and how it has merged with yours will be enough. How are you defining the "church" or "Christ's bride"? My beef is with organized religion and institutional sanctioning of theology / doctrine. My beef is NOT with the collective of God's children. I have no respect for the "church" as defined by the institution. It's gotta be about the people worshiping God, NOT the people worshiping the belief system. That's called idolatry. I would define it as the whole of people submitted to and worshiping Jesus Christ. The problem is our languge, we need different words. I think whatever you call it you need to be, on a regular basis, in a place of collective worship. I don't care if it's field or pew but we need to come together as Christians in collective worship, what do you call that if not church. I have no real love for the institution of church, but I love the group of people I worship with. We call ourselves a church. I would agree, for the most part, that organized religion has done much damage. I would argure that the Bible, which I believe to be inerrant, tells us to be organized in our religion. To have church. It has been done incorrectly, but in Acts we have a model to look to, let's fix the institution not defame and destroy it. Much needs to be changed, but to redicule without suggestion is slander. It is broken, you have a voice - help rebuild it. You've turned your back on it, that's cowardace at worst and laziness at best. By refusing to be part of the solution you have become part of the problem. 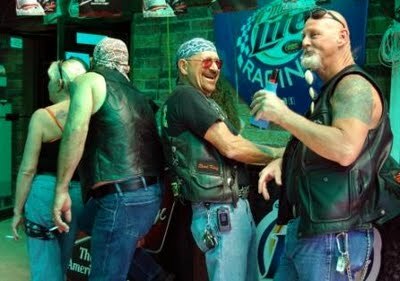 You want to have worship in a biker bar, fine, call it what it is - church. Invite Jesus into that bar, he's proven he's willing to be there. Chris, I think you're right on. I also don't intend to try to convert you to the "dark side". You've gone to a great deal of trouble to explain your position and I respect that. Again, I agree with your perspective wholeheartedly and have argued the same points many times. 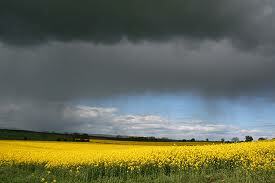 I think that the root of our disagreement is perspective. As in, you're drawing a picture of the same tree I am, but we're standing on different sides of the tree and at different distances from it. I also realize that all of this might be a result of my own baggage, but that thought seems to diminish the more I do this and the more I discuss the matter with those folks sitting far away from the institution. Those "outsiders" need more than a bridge - they also need a motive to use the bridge.